I would like to begin this post with a disclaimer- I am actually a pretty healthy (and diverse) eater. We only eat meat two or three times a week and I try to cook with fresh, organic, local ingredients. I promise I don’t drench everything in bacon fat. I bring these sorts of recipes (the pie and the bacon and the grits) to you because I know that’s why you come here. I just wanted to assure you that, despite what this site might reflect, I have a pretty well rounded diet. Now, onto to the sausagey goodness. When we go out to dinner and I see shrimp and grits on the menu, I am always compelled to order them. I am of the opinion that my go to recipe, which is adapted from the famous Crook’s Corner in Chapel Hill, is perfection. It’s cheesy and bacony and everyone that has ever tried it has been in a state of grit bliss. As a result, I am usually disappointed by what I order at restaurants. Not for lack of trying, the flaws of these dishes range from poorly made grits to dishes that just have too much going on. 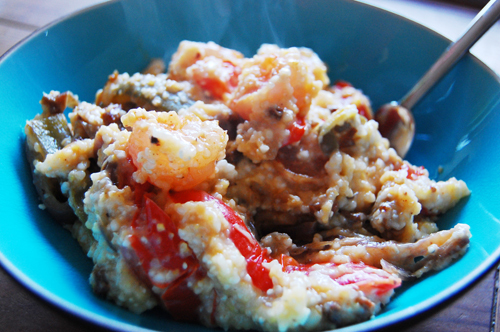 I have, however, had a few variations of chorizo shrimp and grits that were good. Some even pretty good. So I decided to try my hand. I’ll admit, I was underwhelmed with this dish. It was good, and with a few tweaks it could have been very good, but I never once rolled my eyes back into my head with delight the way I usually do with my Crook’s Corner recipe. And I wouldn’t say that you shouldn’t try it, just that it wasn’t the best thing ever or even the best shrimp and grits ever. It was just good shrimp and grits. Different. Sausagey-er. The kid is a comedic genius. Or her parents need to tell her more jokes. Anyway, back to the grits. I’ll give you the recipe, plus the tweaks I would have made if I could do it again. You should try it, you should tweak it, and you should tell me whether or not I’m just being crazy and it’s actually a great dish. Begin by cooking your sausage. 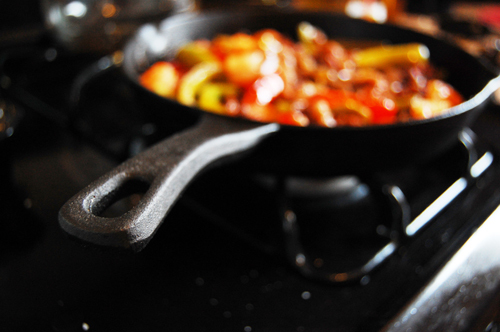 Remove the casing from the sausage and cook it over medium heat, using a spatula to break it up. While that is cooking, peel and clean your shrimp (tutorial here). Boil a cup of water and add a pinch of salt. When the water is boiling, add your shrimp. Cook them until pink 2-3 minutes. Remove and set aside. 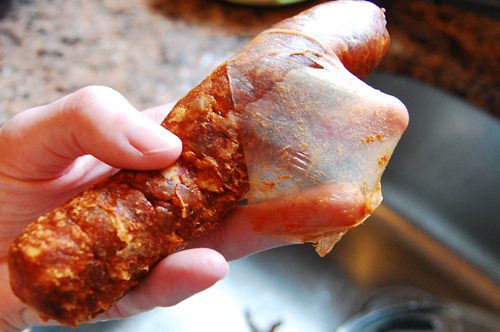 When your sausage is cooked, set it aside. In the pan where you cooked it, quickly saute the shrimp and then set those aside as well. In the same pan, heat your bacon fat. Chop garlic and add it to the pan. 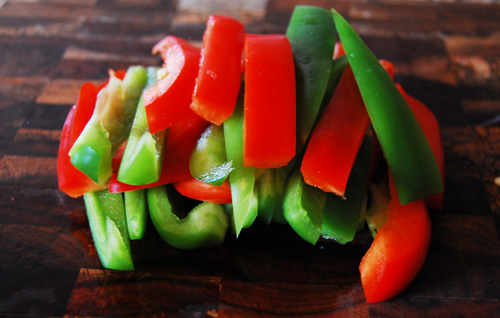 Slice your onion and peppers. Add them to the pan and reduce the heat to low. 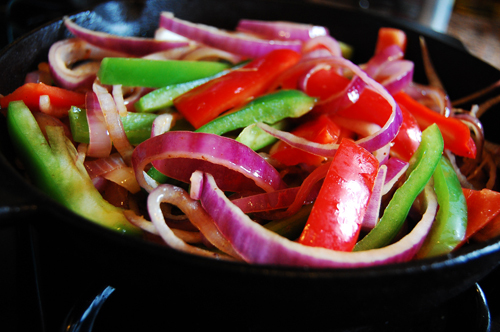 Cook for 1 hour or until the onion and peppers are completely caramelized. 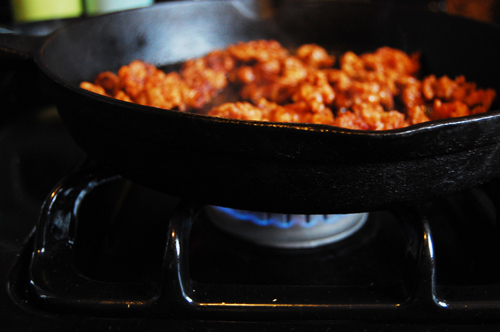 Add in 1/4 cup stock, stir the shrimp and chorizo back in, and simmer. Start in on your grits. Heat the milk and remaining stock over medium heat. Add butter and salt. When the water boils, add in the grits and lower heat to simmer. Cover and cook until thick (approximately 20 minutes). Stir in the chorizo mixture and salt to taste. Serve. Wow the pictures look really inviting! I’m craving now. I bet they are delicious too! Thank you for the instructions. Thanks for sharing. 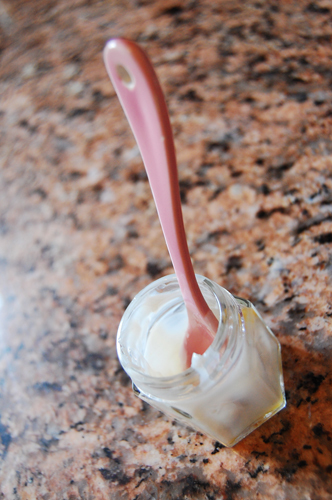 OH man, this post includes two of my “favoritest” ingredients. 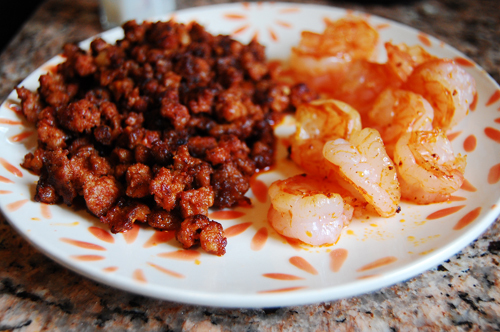 I love chorizo and shrimp. This is on my list to try! Looks fantastic, love shirmp and chorizo! Thanks for the recipe idea.